There exists what beard-stroking sociologists might term a “cohort” of British racing drivers that enjoyed great success in international racing in the 1960s and ‘70s but never achieved the Grand Prix success of contemporaries such as Stewart, Surtees, Hill, and Clark. 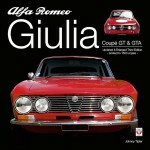 That cohort comprised men like David Hobbs, Jackie Oliver, Richard Attwood, Vic Elford, Derek Bell, and the subject of this book, Brian Herman Thomas Redman (b. 1937). These drivers won innumerable races in endurance racing, Can Am, and Formula 5000 (or Formula A as it was called in the US) and, amazingly, all of them lived to tell their tales. Survival is a key theme in this book whose title is topped for sheer crassness only by UK author Alistair MacLean’s quite dreadful motor racing novel The Way to Dusty Death, words which should perhaps have been allowed to stay in The Scottish Play. The bad news doesn’t stop there either, as the cover of Redman’s book makes it look guaranteed to be coming soon to your local charity store. You know just the sort of thing, the $20 book dressed up to look like a $50 one but failing to deliver. 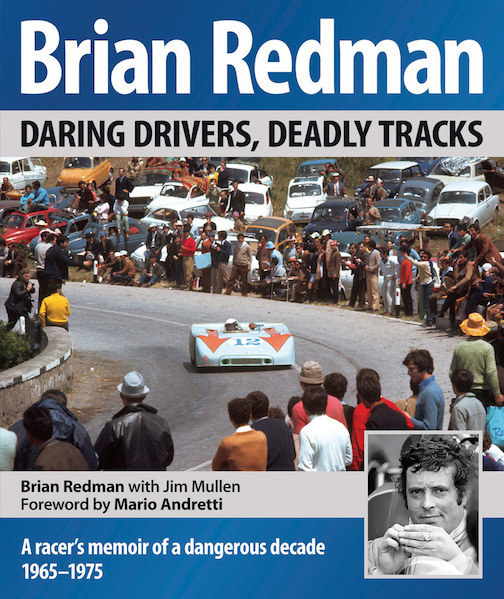 Except—I am delighted to say that the bad news ends here as Redman’s book is that rarest of things, a racing autobiography that does justice both to the subject and the sport in general. The book was co-authored with Jim Mullen (a racer himself who’s now in international communications), with further help by MotorSport magazine’s Mark Hughes, and it succeeds in transcending the usual ghostwritten fare by being unusual in both its style and content. 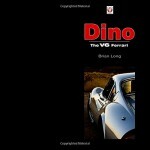 The 14 chapters are thematic rather than sequential and thus cover separate subjects such as the Targa Florio, Formula 5000, the original Spa-Francorchamps and, intriguingly, “The mind of a driver.” It’s a refreshingly different approach which is used to great effect and the book’s appeal is further enhanced by superb photography, including many pictures which were new to me. 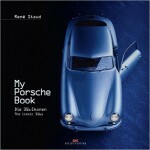 Other pictures may also be seen in Rainer Schlegelmilch’s wonderful work Sportscar Racing – 1962–1973. But good though the photographs may be, the real appeal of Redman’s book is the author’s naked honesty in reflecting upon the triumphs and tragedies of his career. Now in his late seventies, Redman may well be experiencing some type of survivor’s guilt as the book, understandably given the era covered, does not shrink from describing the deaths that punctuated every season. And, after each reference, the age of the driver is given; thus “. . . . my friend Jo Siffert was 35 or “. . . I was desolate to lose Pedro Rodriguez as a friend and companion . . . he was 31 years old.” Sobering stuff. Gerhard Mitter was another works Porsche driver and the picture of his funeral cortege in 1969 is quite the most surreal motor sport picture I have ever seen: Mitter’s coffin mounted on the roof of a 911, which is flanked by the seven works drivers in their race suits—and who had been ordered—ordered!—to attend. 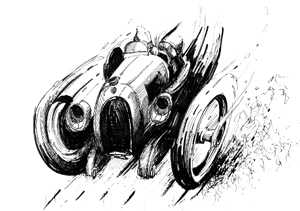 Bizarrely, the coffin has Mitter’s crash helmet mounted on its leading edge, and it is even angled down in just the pose the driver had adopted in life. . . .
Redman himself so nearly became another statistic when his Porsche crashed on the Targa Florio, the Sicilian race with 125 entries and 400, 000 spectators on a 45-mile, 720-corner lap. 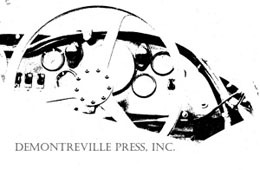 The 908 literally burned out, leaving only a hole in the road inside which was the crankshaft and nothing else. Redman was seriously burned and such was the chaotic nature of motor racing in 1971 that even his teammates could not find where he had been taken until 11 pm that night. Spa in the Cooper 86B F1 car didn’t end well either; after a suspension failure on the entry to Les Combes corner, at 160 mph, the resulting crash saw Redman lying badly hurt in the car after it had burst into flames. Marshals had temporarily extinguished the fire, then another one appeared to help the driver from the cockpit. That marshal’s lit cigarette then reignited the spilled fuel. In 1977, at Canada’s St. Jovite circuit, Redman’s Can Am Lola T333 took off just like Mark Webber and Peter Dumbreck’s Mercedes were to do at Le Mans 22 years later, but the car remained inverted on its return from orbit; Redman’s suffered near fatal injuries, his race helmet contacting the tarmac and being almost, but not quite, completely ground away . 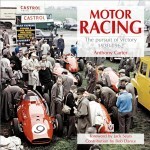 His insights into the racing cars of the era are insightful. Remember the Chevron B16? If not, Google it and you will find the most exquisite 2L racer, looking just like a smaller version of the most glorious sports racer ever, the Ferrari P4 (Google that too, even if you know just what they look like—a man who is tired of the P4 is tired of life). 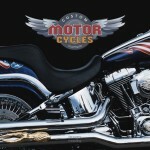 The trouble was that the B16 wasn’t as fast as it looked because its coupe bodywork was too heavy. Redman persuaded Chevron’s Derek Bennett to design an open version but Bennett was as cautious as his budget was tight. This wasn’t too much of a surprise as I knew that, in those pre-CAD days, Bennett often sketched out new designs in chalk on the floor of the old mill in Bolton where Chevron was based. Redman said to his fellow Lancastrian, “Don’t worry Derek, just copy the 908/03—Porsche have already done the testing for you.” The resulting B19 lost the catwalk looks of the B16 but its light weight and aerodynamics courtesy of Stuttgart saw it win race after race. This book has much more to offer besides, such as Redman’s account of driving a disintegrating 1100 bhp Can Am Porsche 917/10 in 1973, essaying F1 again in a McLaren M19 in 1972, and taking Lola T600 sports prototypes to win after win in 1981. I read with interest about how the ever decent Redman was hung out to dry by crooked team owners and how he had been let down by cheapskate race preparation. The heartfelt accounts of how he forged such deep friendships with brother drivers are both moving and deeply evocative of a glamorous but lethal era of the sport’s history. 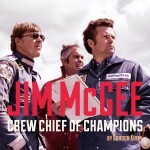 This is a really, really good read about a great racer and a hugely decent man. Foreword by Mario Andretti.